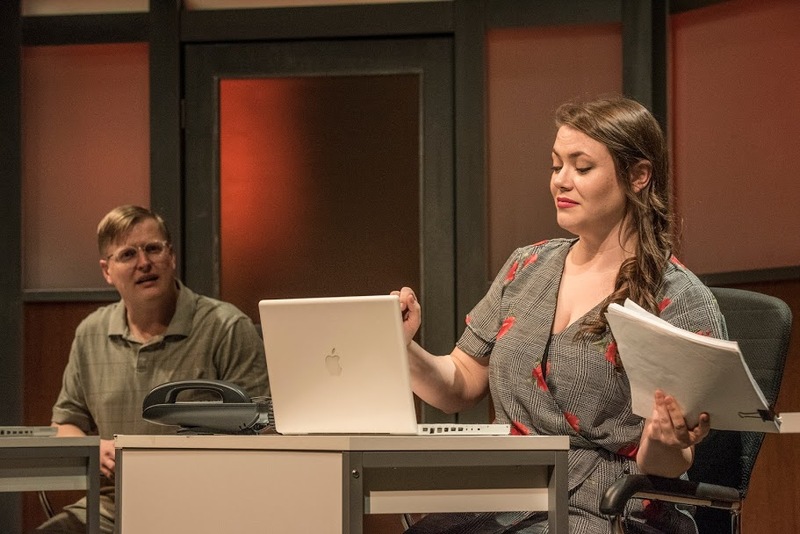 Curious Theatre are fast to tackle it, but it is telling in its themes and commentary on media, society, and our veiled relations in the work space. Think of the last mass shooting or natural disaster. How many news outlets profited? how many views or likes had social media users received? and who actually experienced first-hand the trauma? It’s questions as these that writer Branden Jacobs-Jenkins poses. Now, I say it’s a tragedy, but it’s lined with humor throughout which helps soften the rather constant air of tension. There’s many a scene where even the awkward tension causes us to laugh aloud, helping keep the story from becoming too real. 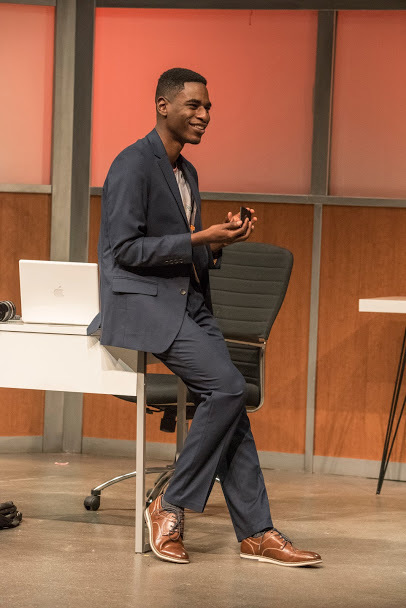 My favorite character, the unwilling hero of the play, is Lorin (Brian Landis Folkins): an honest, hard-working, non-millennial fact-checker for the magazine they all work for during the first act. 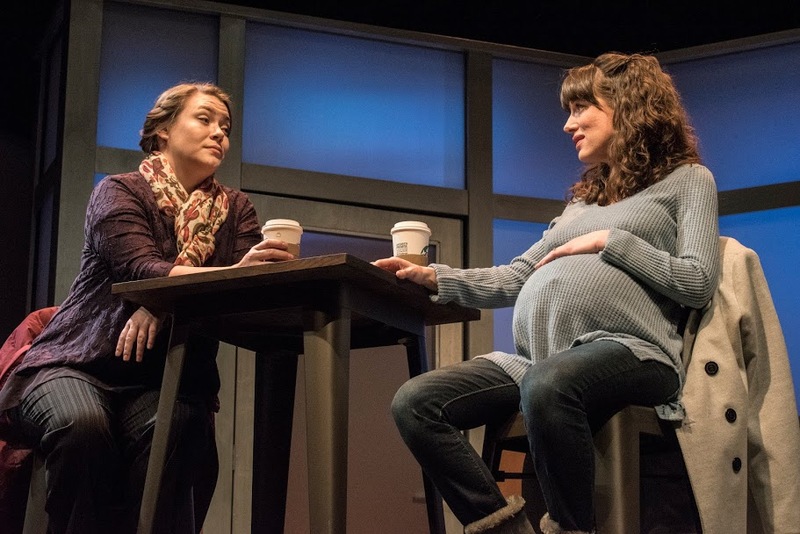 An interesting aspect of the play is that the remaining five characters are written so the actors play multiple roles, but Lorin is the only character where the actor is solely Lorin. 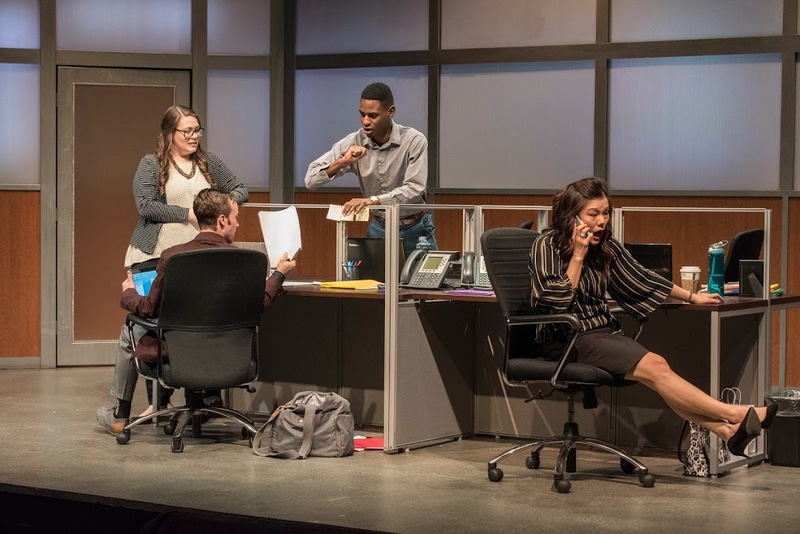 For instance, Candace Joice plays as both Gloria (the titular character) and Nan (the editor-at-large for said magazine), who are two very different characters. In fact, this was a decision made by Jacobs-Jenkins, which I took as, Okay, aren’t we all pretty much the same, only wearing different masks? Theatre produced another of his plays in the season previous, and I understand why they brought him back. A gripping tale, Gloria and I will be coming back for more! Thank you Curious Theatre. This show took guts, and the production really illuminated the story. 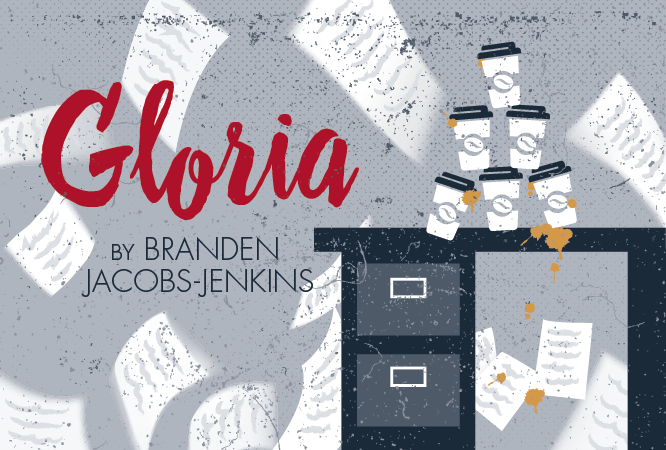 Gloria is confronting audiences now until February 16th. You can find tickets or other information by visiting curioustheatre.org or calling 303-623-0524.